Make a donation to support our work today. Women with high levels of exposure to DDT when they were young had a five fold higher risk of developing breast cancer compared to women with lower exposure. The risk of developing breast cancer before age 50 is three times higher if a woman had high levels of the chemicals known as polychlorinated biphenyls (PCBs) in her blood during her reproductive years. In-utero exposure to PCBs appears to be associated with daughters having increased trouble conceiving later in life. Time is of the essence. 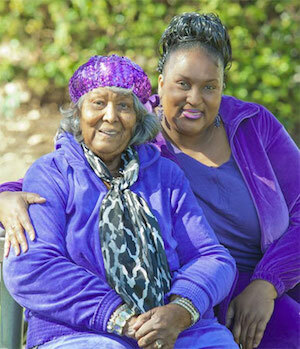 CHDS is now trying to enroll the 4th generation in the study that Willie Mae and Ida have been part of, but we need additional funds to do so. "Every 4th generation baby we miss is a lost opportunity," says CHDS director Barbara A. Cohn, PhD. CHDS has been called a national treasure for breast cancer research, but we need your support today to ensure it continues. Please make a donation today. Read more about Ida and Willie Mae Washington.